Not exactly known for his accurate military predictions, US Senator John McCain was once firmly convinced that Russia would never act in Syria. Oops. Back in 2013, Russia, China, and Iran all warned the United States of the devastating consequences that would occur if it began airstrikes in Syria. Destabilizing the legitimate government of President Bashar al-Assad would lead to the inevitable rise of terrorist groups like the self-proclaimed Islamic State. Arizona Senator John McCain, however, could not foresee this. And he was dead wrong about the future in other ways, as well. "It doesn’t concern me in the slightest," McCain said in 2013, when asked if he was worried about a Russian and Chinese intervention in Syria. "Because they will not act." "The United States is the most powerful nation in the world, and we’re not going to be intimidated by Russia and China," he added. "We are not, so I guarantee you that they will not act." Flash forward two years and the United States is, indeed, being intimidated. Beijing’s construction of artificial islands in the Spratly archipelago is forcing Washington to scramble together alliances in the Pacific. But, more importantly, Russia’s anti-terror campaign in Syria has forced the United States to completely rethink its regional strategy. 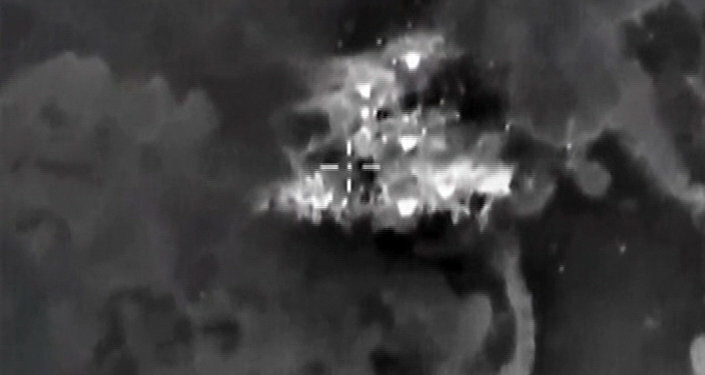 Airstrikes have devastated IS militants, and since the bombing began on September 30, Russian support is already helping to stabilize a nation thoroughly wrecked by the United States and its allies. On Thursday, reports surfaced that a Russian airstrike killed Abu Bakr al-Shishani, a prominent leader of the Ahrar ash-Sham terrorist group. "A group of militants, including the leader of Jaish al-Sham terrorist group, Chechen native Abu Bakr al-Shishani, was eliminated on October 14 as a result of a Russian airstrike in the Homs province," a Syrian military source told Sputnik. McCain, at least, is not in denial. Recognizing Russia’s success, the senator wrote an op-ed for CNN on Wednesday. "Vladimir Putin must be stopped," he wrote. At least he didn’t risk his reputation by writing “Putin will be stopped,” because that would be…another false prediction.